Every year I made Christmas cookie trays for friends and family. There are the classics like sugar, chocolate chip, and oatmeal raisin, then I pick a few different cookies that add color or flavors that we'd all enjoy. I saw these Crystallized Gingerbread Chocolate Chip Cookies on Taste of Home's Ultimate Cookie Countdown, and immediately added it to my Pinterest board for this year's trays. 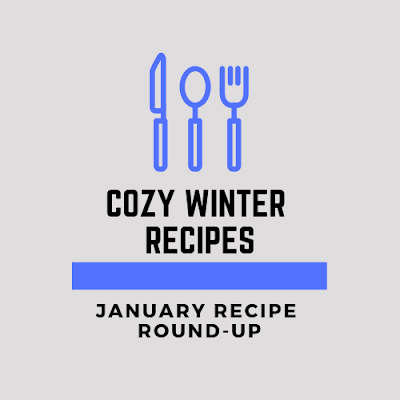 When I went to print it out, I realized that the recipe is from my fellow blogger friend Colleen from Faith, Hope, Love & Luck Survive Despite a Whiskered Accomplice! I made the recipe exactly as stated except that I rolled the dough balls in turbinado sugar instead of granulated. I just love the sparkle and crunch it gives them. My cookies were very puffy as they came out of the oven, but flattened a bit as they cooled. Next time I'd keep the dough balls chilled between batches, my fridge was just too stuffed with holiday dinner items to do it this time. For my final top 10, I've rounded up my favorite desserts that I've made throughout 2018. This was really the hardest list of all to compile, because there were just so many good ones this year! You've probably heard of upside down cake, but how about Upside Down Apple Pie? I took a step towards conquering my fear of pie crust and I sure didn't regret it. This Very Vanilla Slow Cooker Cheesecake took a real leap of faith on my part. I have never, ever made dessert in the slow cooker before. I was pleasantly surprised at how this turned out! Beautiful texture, and great flavor. Best of all, no cracks! My look back at the best of 2018 continues, and today I'm focusing on main dish recipes. It's so easy to fall into a pattern of making the same things over and over again, but this year I worked really hard to try and change things up. I love to make copycat recipes of meals that I order from my favorite restaurants, like this Granny Smith Pizza. Tart apple, crispy bacon, grilled chicken, candied pecans plus Grana Padano cheese. It takes pizza to a whole new level. They won't even miss the bun when you serve up these Cheeseburger Bowls! I've made them on the grill or inside on the panini press, and they're always amazing. Sometimes I add some crispy chopped up bacon to the mix, and sometimes I melt the cheese on the burger.